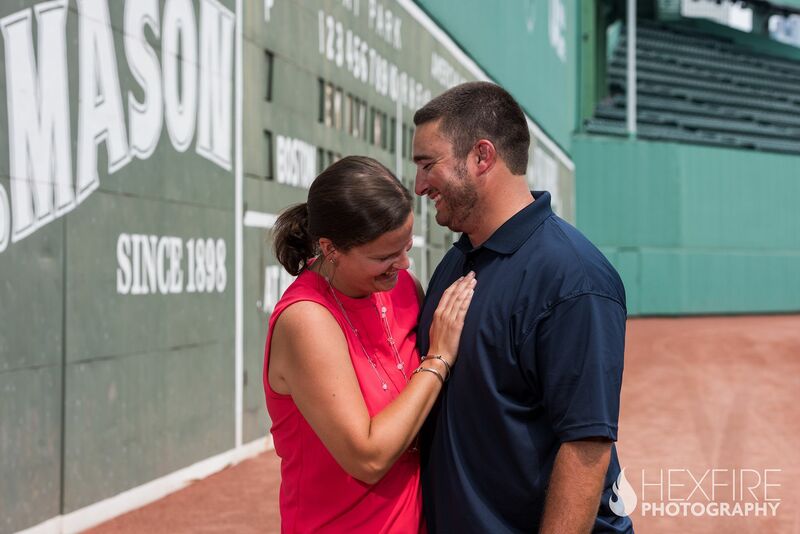 It’s hard to imagine Fenway Park without the crack of a bat or rumblings of an excited crowd. 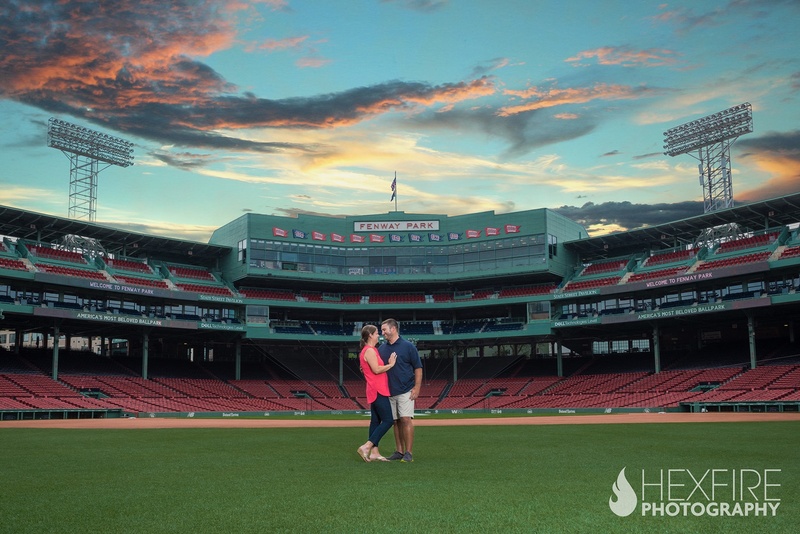 The stadium laid quiet that Saturday without the hustle of a baseball game being played. 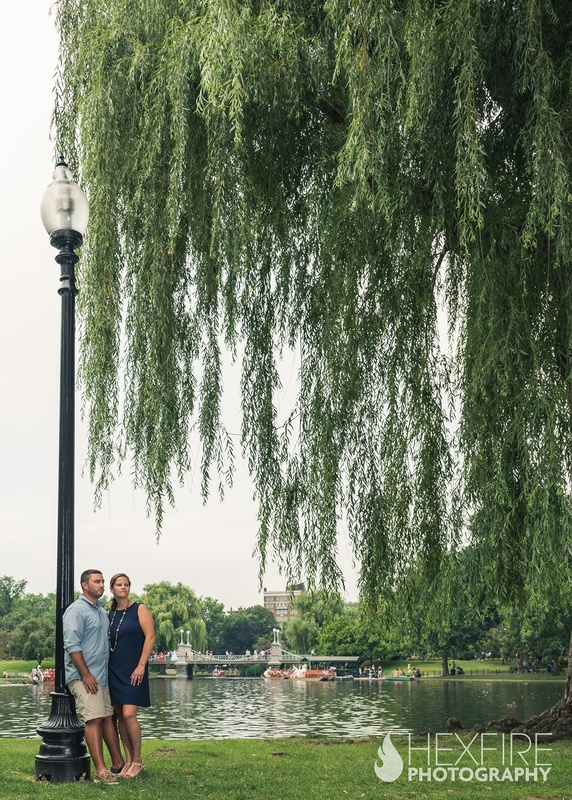 For a brief moment, we stood there; simply taking in the grandeur of such a place. 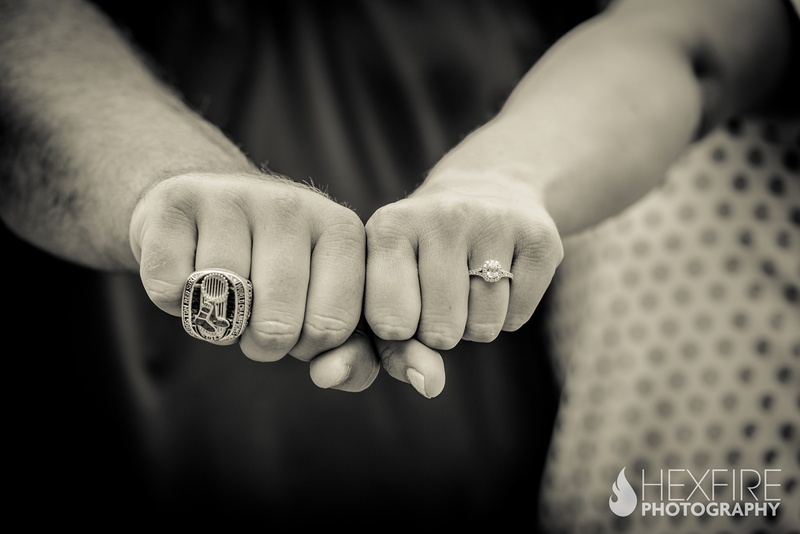 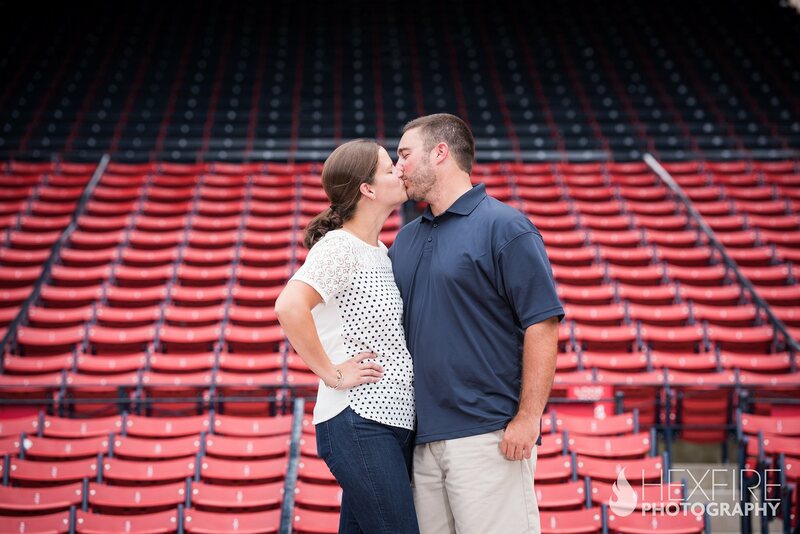 This Red Sox engagement shoot was going to be cool. 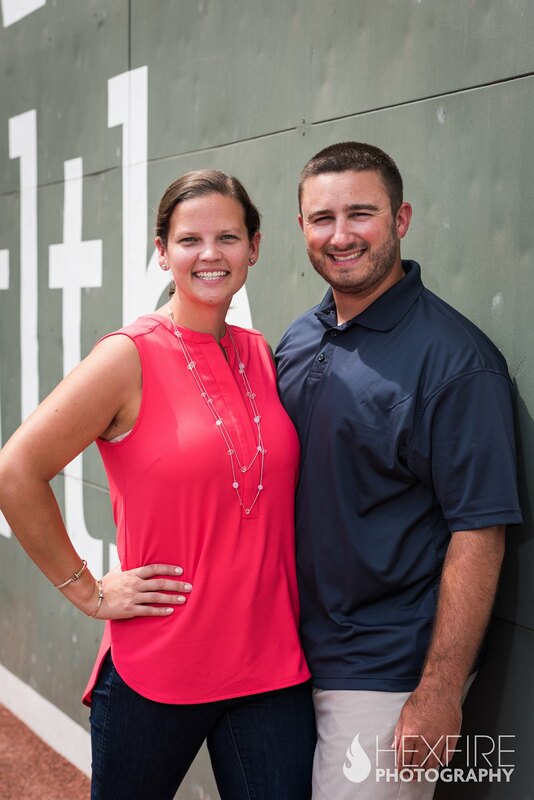 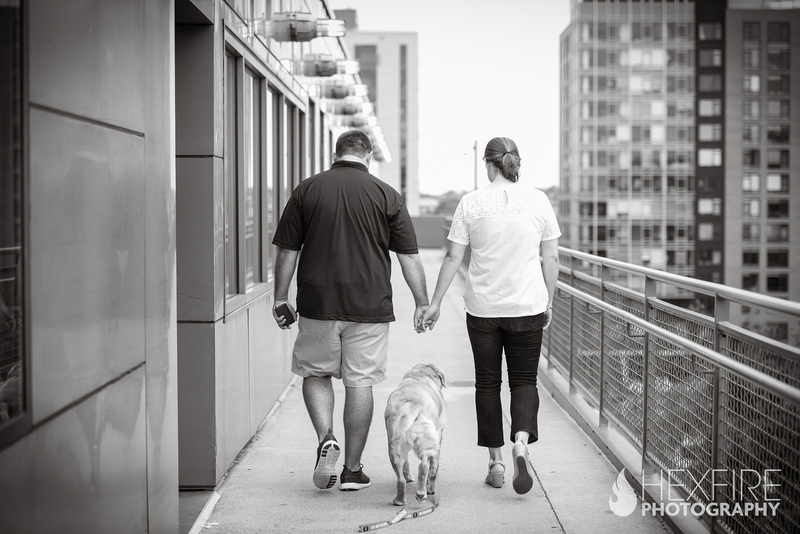 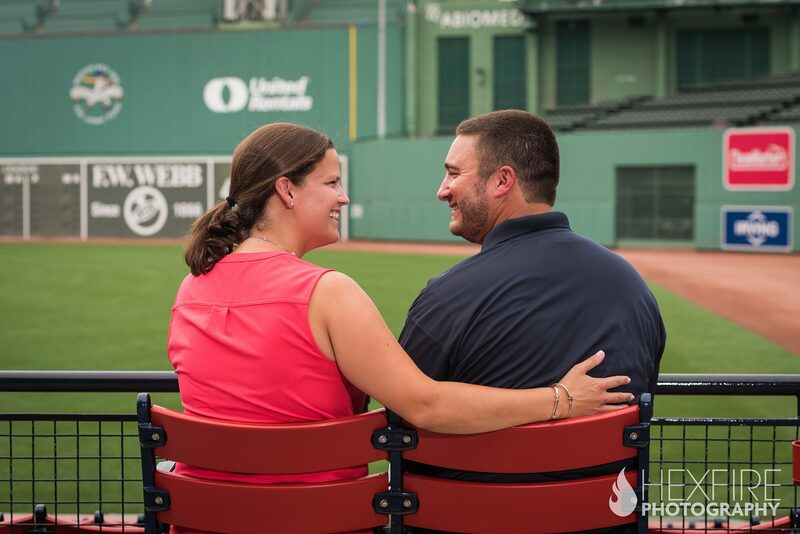 Katie and Derek are both employees of the BoSox and felt at home strolling along the warning track as we photographed their engagement images. 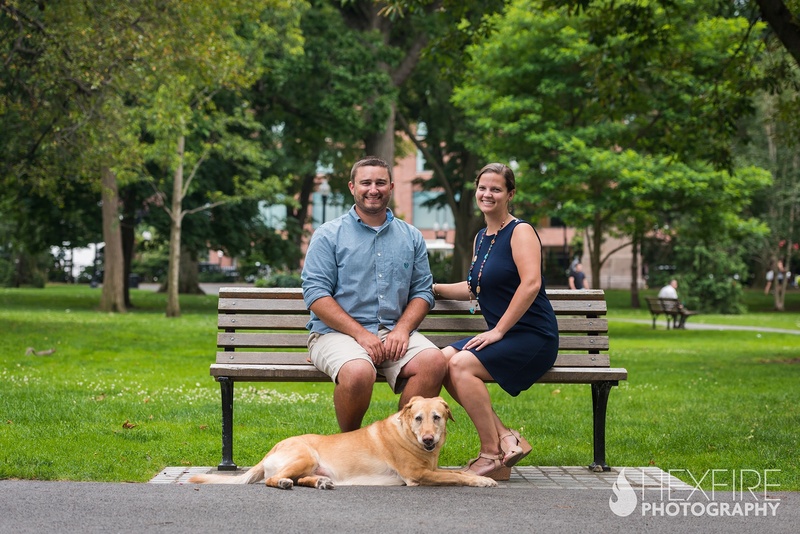 Their lovable, and albeit extremely photogenic dog, Lucy joined in as well. 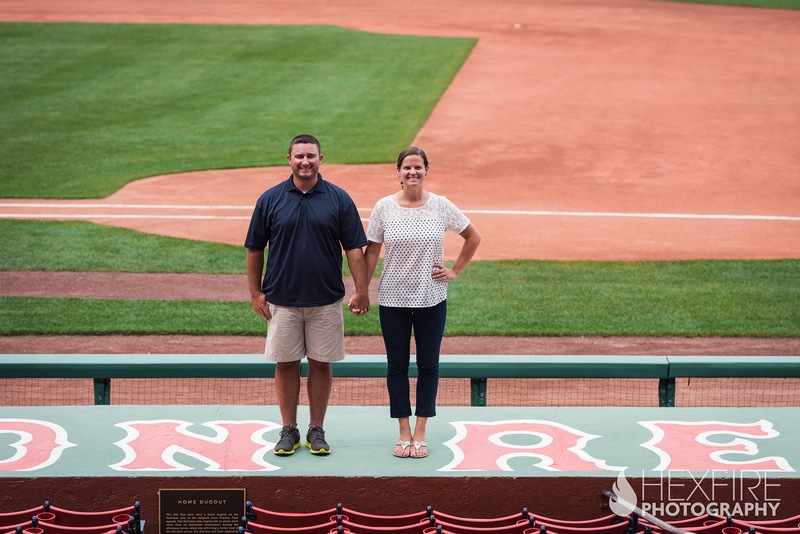 We explored all facets of the park from inside the green monster, to upper levels overlooking the great city of Boston. 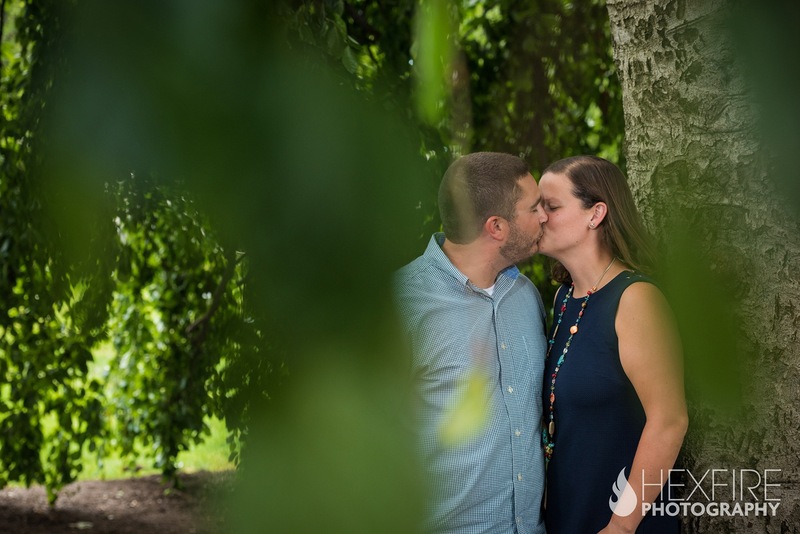 Taking our time, photographing and strolling along, we got to know Katie and Derek a little better. 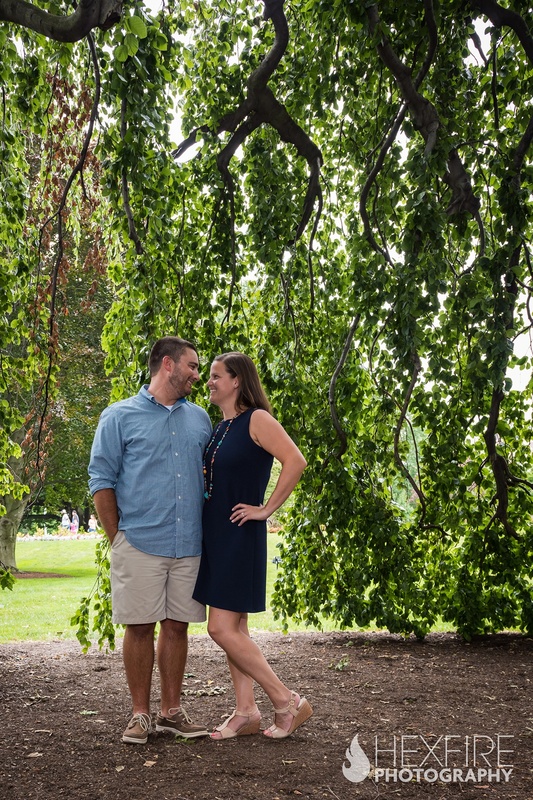 It’s easy to see how comfortable they are together. 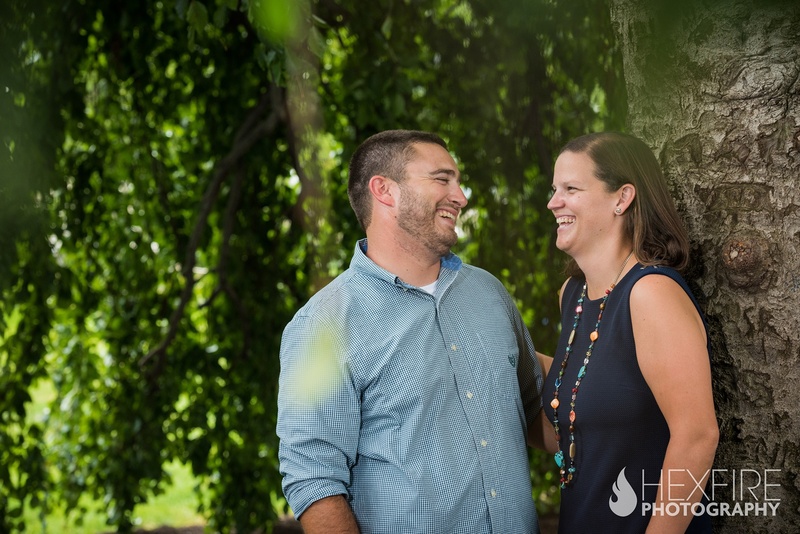 Both get a kick out of making each other laugh and always seem to follow it up with small sentimental smile, hug or a pat right on top of Lucy’s head. 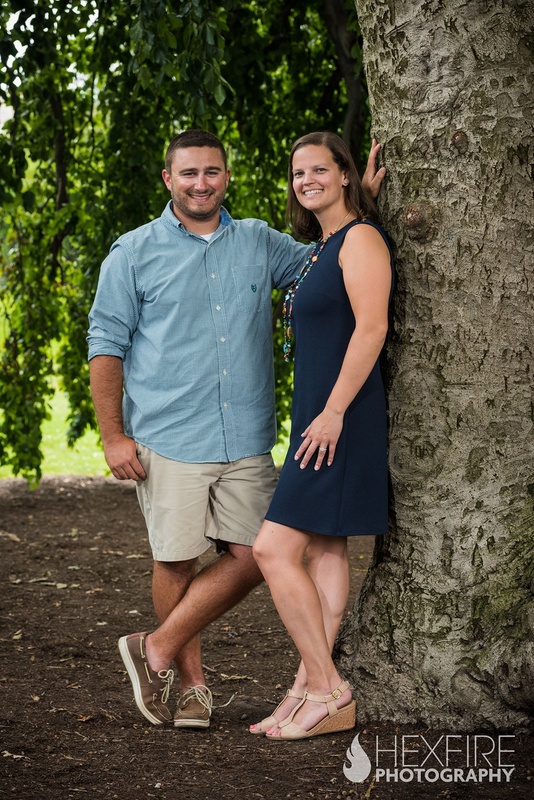 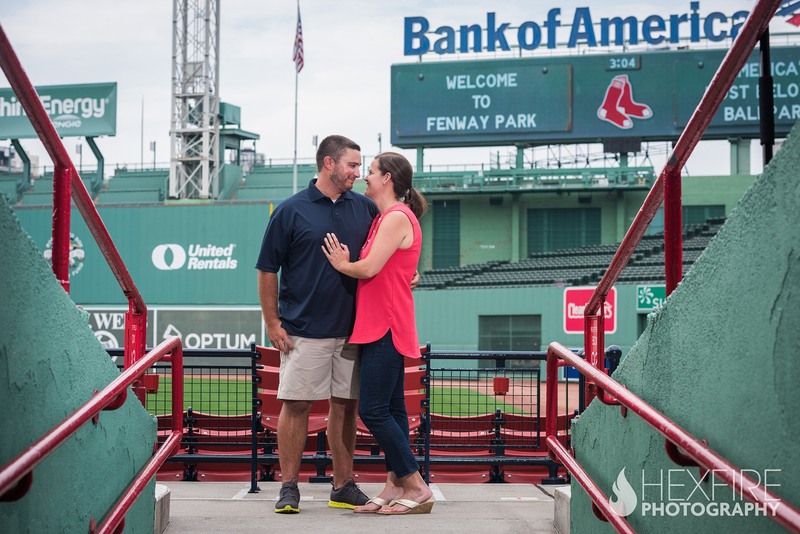 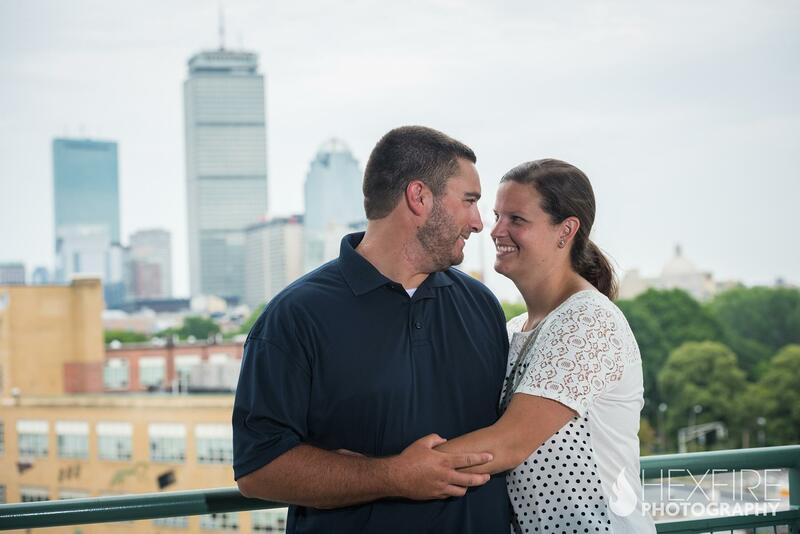 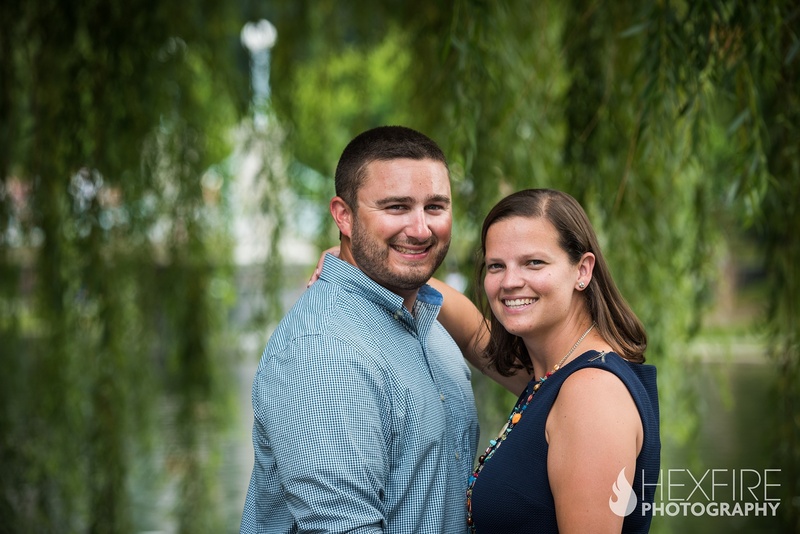 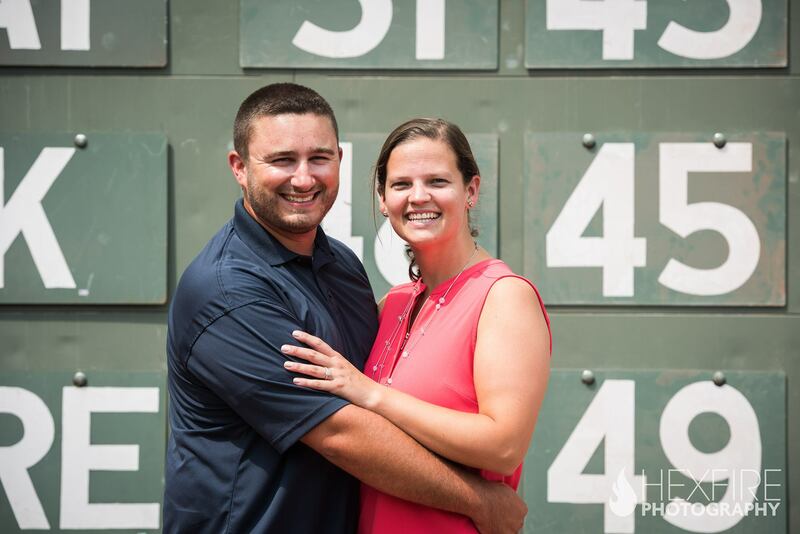 Once we got the full tour of Fenway, and as we shot enough photos to document their Red Sox engagement session, we continued over to the Boston Common Gardens, to capture a few “non-baseball” themed photos. 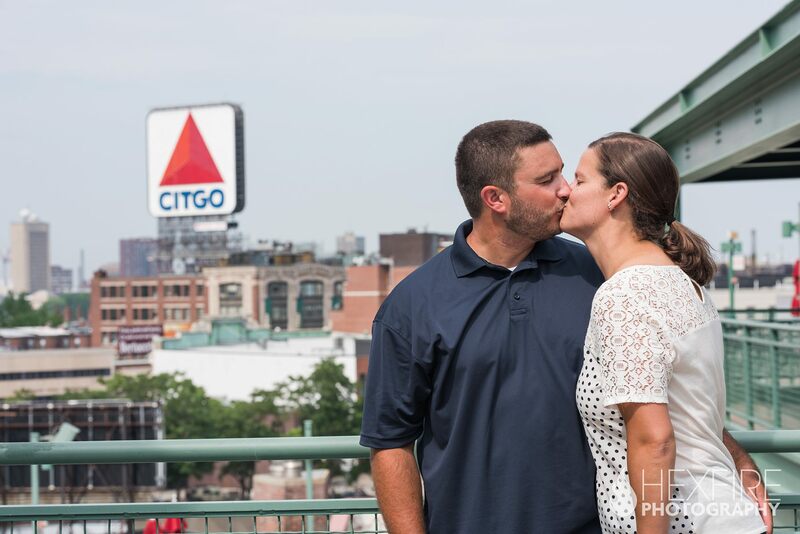 It was the quintessential New England summer day. 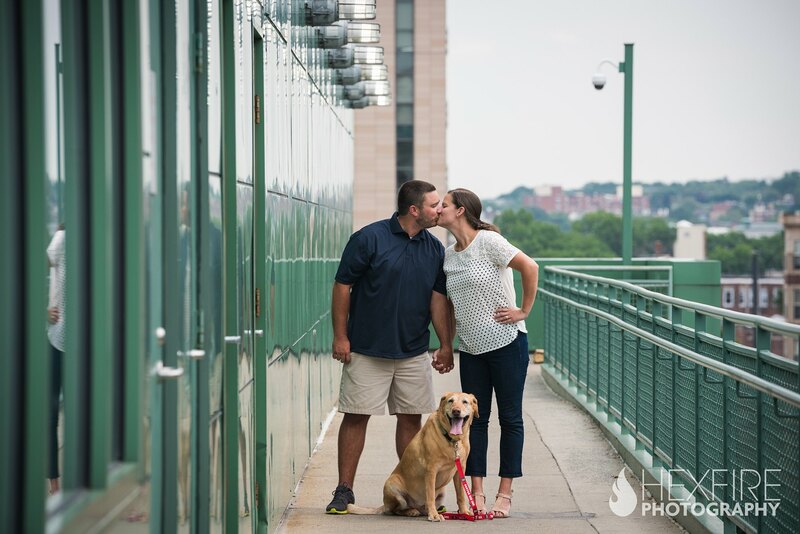 Lucy seems to approve of her parents engagement and gives her blessing for their winter wedding. 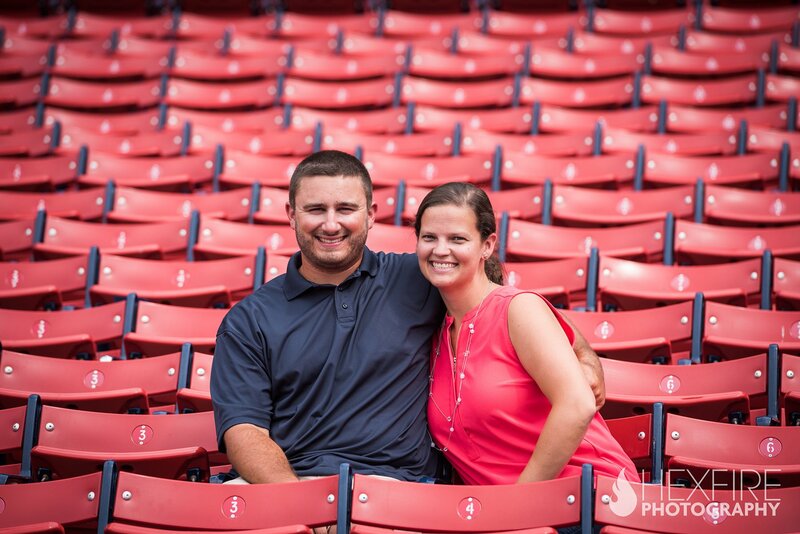 Katie and Derek plan on tying the knot in December 2017 at the Red Barn at Outlook Farm in Berwick, ME. 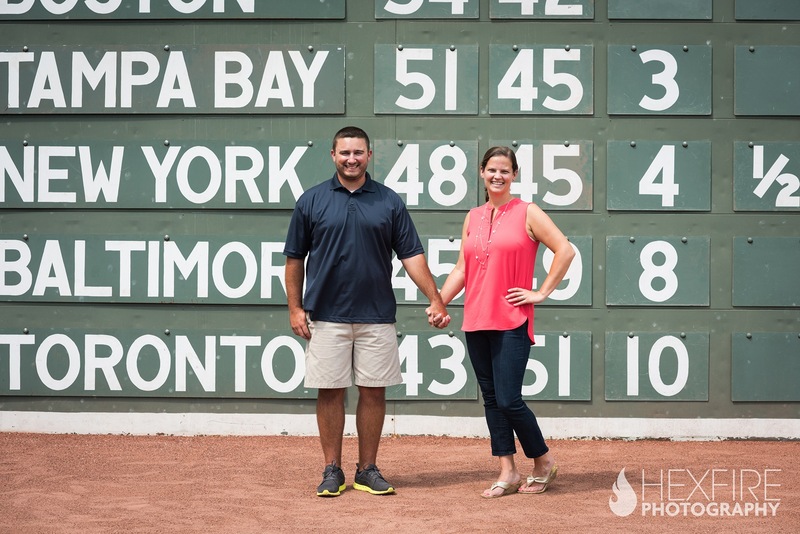 We can’t wait to celebrate with them as the air will be a little crisper; and when we will be wishing for baseball season to start once again.